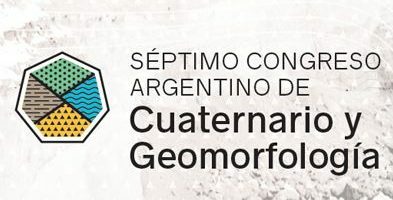 The International Association of Geomorphologists offers 2 grants of 500 euros to favour the participation of Young Geomorphologists (under 35 years old) from Latin America but not mainly based in Argentina in the 7º Congreso Argentino de Cuaternario y Geomorfología, “Geocuar 2018” organized by Argentine Association of Geomorphology and Quaternary Studies (AACG) to be held in Puerto Madryn, Chubut, Argentina, 18-21 September 2018. The Congress aims at gathering participants from Argentina and from different parts of the world to discuss and share the most recent advances in the broad field of Geomorphology and Quaternary Sciences. The three day-long event offers a plenary session and two mega-poster sessions, one mid-day field trip and three short courses. In addition, a post-meeting field trip will be organized in the Peninsula Valdés region, a World Heritage Site. The organization of the event includes initiatives specifically dedicated to Young Geormophologists and in particular three short courses are available to attend: Biomineralization and environmental studies, Malacology in Quaternary marine environments, Radiocarbon analysis: methods and solutions to solve geological problems. The above mentioned documents should be submitted to the IAG grant office at iaggrantoffice@gmail.com (please specify IAG Grant – Geocuar 2018) in the subject of the email). The selection of candidates will be carried out by a Commission appointed by the IAG Executive Committee. For further information on the IAG Grants, feel free to contact the IAG Training Officer.